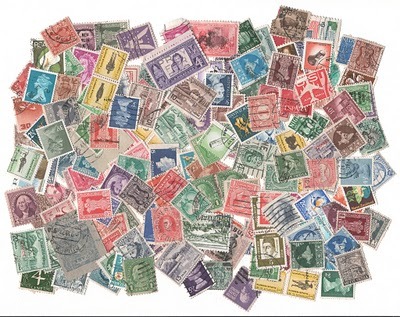 Did you inherit a stamp collection? Many, many people collected stamps in the twentieth century. It has been one of the most popular hobbies ever since the first postage stamp was created in 1840. It is still popular, although interest has been waning in the past few decades. Most collectors specialized. They collected by country, states, historic events, famous people, or topics, especially transportation, mammals, and birds. Others preferred mint collections, commemoratives (a one-time printing not usually repeated), or first-day covers (envelopes postmarked with the first day of release). Figure out what you have inherited. The book, Scott Standard Postage Stamp Catalogue, is available at your library and gives recent retail prices. Expect to sell yours for significantly less. You can also check eBay for individual stamps. Limit your search to “sold listings” for a more accurate notion of value. If you want to know more about a particular stamp, check with www.stampexchange.com, where you can post questions or see recent prices for specific stamps at auction. Find a local stamp club. Check www.linns.com where you can find the club nearest you as well as its meeting days and times. Check www.stampshows.com to find upcoming shows in your area. You can attend those with your collection and find out what you have what someone will pay you for it. Or you can consider donating to a stamp club to get a young collector started. Be warned: there are few young stamp collectors. I recently spotted a good article by Elizabeth O’Brien about estate sales, pro and con, that I wanted to share. Here’s the first part. The link to the entire article is at the end. The liquidation business is driven by the four d’s: downsizing, death, divorce and debt. With about 10,000 Americans turning 65 each day, boomers account for many of the downsizers. 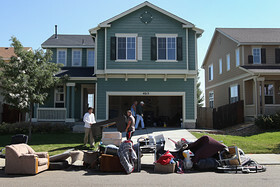 But plenty of other people can find themselves in need of help dumping property — whether they are struggling to fit recently inherited antiques into a tiny apartment, liquidating assets as part of a divorce settlement, staving off creditors, or simply moving across country for a new job. And since the average American home spans some 2,500 square feet (not counting the storage lockers rented by one in 10 U.S. households), emptying one out isn’t easily accomplished alone. Enter the estate liquidator. 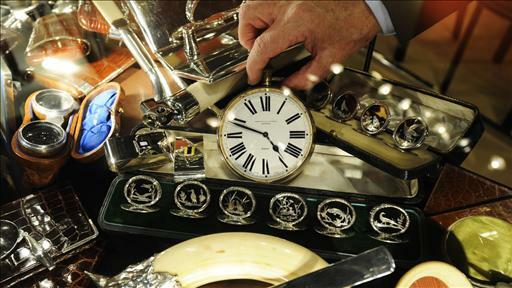 There are roughly 14,000 estate liquidators in the country, according to Julie Hall, an appraiser and estate expert in Charlotte, N.C., and the executive director of the American Society of Estate Liquidators. Members of that organization must meet certain education or experience requirements and abide by a code of ethics. But most liquidators have no formal training, Hall says. Anyone can set up shop as an estate seller, and plenty of folks who lost their jobs in the recession did just that, she notes. So how can consumers find a reputable seller amid all the dabblers? There’s no regulatory body that oversees the estate liquidation industry and no central repository for complaints. But some basic research can turn up red flags, Hall says: Do a Google search on the name of the liquidator you’re considering hiring, check with the local Better Business Bureau for reviews, and ask for references and relevant education. Websites like Angie’s List and Yelp can provide additional insight, although the former charges members a fee. And if there’s time, insiders say, owners should attend some estate sales run by any potential hires before committing. 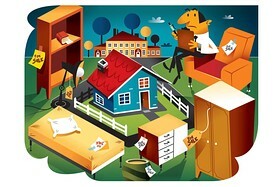 Many boomers turn to estate sales to pare their possessions for a downsizing move, either their own or their parents’. Too often, those who expect to bank some serious cash are in for a rude shock: Their possessions are worth a fraction of what they imagine. Do read the entire piece. 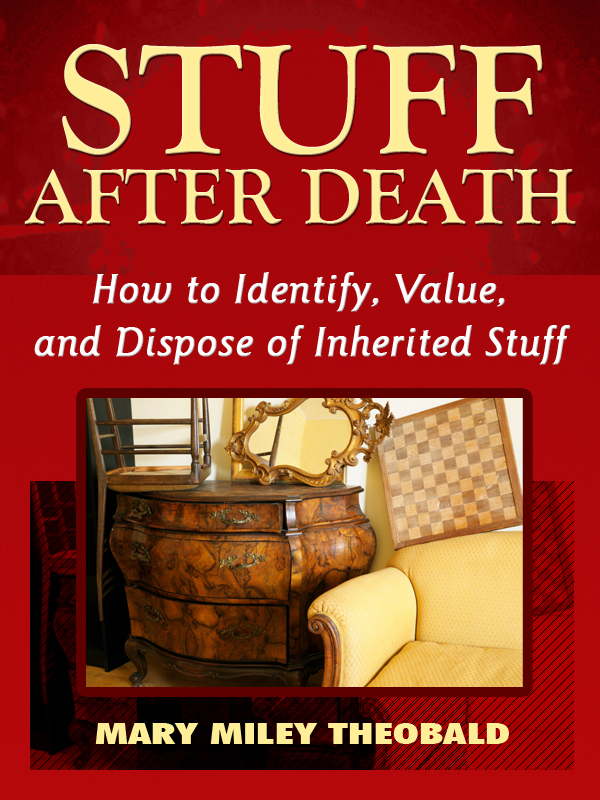 It’s a sobering but very true assessment of the value of your Stuff.